The tragic killings of black men at the hands of police officers this week is no doubt going to make fodder for politicians during this election year. The presidential hopeful is taking the opportunity to put her outrage on full display. Presumptive Democratic presidential nominee Hillary Clinton said on Friday that white people must do more to understand the experiences that African-Americans have had with police officers. Speaking with CNN’s Wolf Blitzer, Clinton made the remarks in response to questions about why she believes she’s more qualified than presumptive GOP nominee Donald Trump to close the racial divide in America. 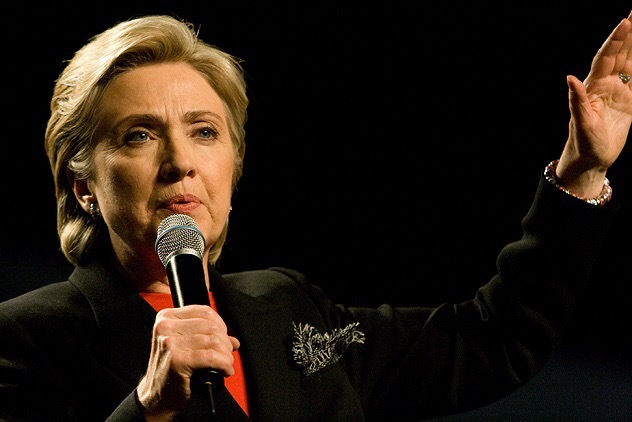 “I will call for white people, like myself, to put ourselves in the shoes of those African-American families, who fear every time their children go somewhere, who have to have the talk about … how to really protect themselves, when they are the ones who should be expecting protection from encounters with the police,” Clinton said.